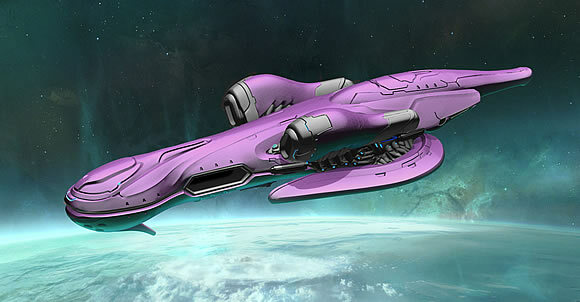 Hello Spartans and welcome to Halo: Fleet Battles – Reinforcements, where Spartan Barn will be looking at two new additions to the game in the form of the UNSC Phoenix-class Colonial Support Vessel and the Covenant Blockade Runner. 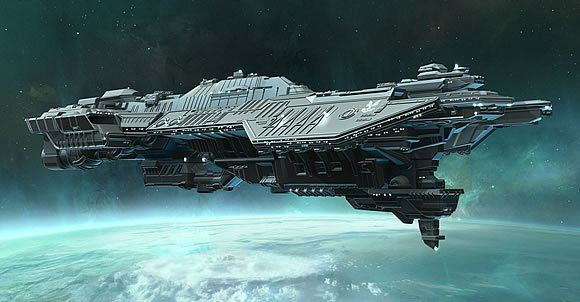 Early in humanity’s first steps into the stars, soon after the discovery of slipspace travel, enormous carriers were developed to ferry personnel and materials to far flung worlds. The Phoenix-class Colonial Support Vessel was one such design, and enabled humanity to establish colonies and outposts, planting their flags across the Orion Arm of the Milky Way, during a period known as the ‘Domus Diaspora’ or ‘Colonial Era’. Such behemoths served for decades, and during the Insurrection were retrofitted to be combat vessels, replacing their pre-fabricated materiel with dropships, weapon shops and motor pools. During the Human-Covenant War, such heavily-fortified vessels were pressed into service and acted as heavy transports and were able to sustain and support prolonged ground campaigns. When orbital engagements with the Covenant did occur, the Phoenix-class could still hold their own. Mounting MAC guns and multiple missile bays, this, combined with their bulk, made them ideal for slugging matches with even the heaviest of Covenant vessels. Game wise, the Phoenix-class is bristling with weapon, including MAC guns facing EVERYWHERE except the aft facing, allowing you throw huge MAC rounds in virtually all directions. It’s also very well armoured for a human vessel, possessing Titanium Armour (5) and Point Defence (4), which should put a dent in whatever ordnance heads its way. To fit its heavy transport theme, it has a significant number of Boarding Craft and Security Detail aboard, and even has the ability to replenish Boarding Craft lost earlier in a battle – you can easily imagine Pelicans loaded with troops waiting their turn on the launch ramps, ready to be launched from the Phoenix’s hangers and into the fray! When it joins forces with a Marathon it becomes what is known as a Phoenix Spirit Formation, a Specialist Formation that brings with it not only a huge boost in firepower and increased survivability, but it also gains access to the Ammunition Re-Supply special rule, meaning it ignores damage for firing its MAC and Missile weapons too! As they would say on the famous Spirit of Fire, Exitus Acta Probat! Arriving to support the Covenant is the Blockade Runner, a sleek, nimble yet powerful mid-sized vessel designed to break through enemy formations, flank around their lines or hunt down and take out wounded prey. It is an ancient vessel from an ancient time, designed to allow the most audacious of Elite captains to execute their missions, whatever the enemy can throw at them. Immediately comparable to the CCS Battlecruiser, the Blockade Runner differs in that it has less amour, but gets a huge boost in firepower, including the terrifying Plasma Beam, and with a movement of 9”, should be easily able to get across a game board and decimate the technologically inferior UNSC ships. A small detail you will notice is that it’s Plasma Torpedoes can actual shoot backwards, further aiding in its breakthrough strategies. The Blockade Runner also hosts a large complement of crew, with a Security Detail of four to repel any counter attacks coming their way, plus able to send out up to three Boarding Craft, again supporting its fast-assault role and attacking and overwhelming enemy ships. Another unique ability the Blockade Runner brings to the table is its Hidden Killer special rule, meaning that attacks targeting it from 20” away or more suffer a -1 to the Firepower Rating, which combined with the fact it has Cloaking Shields will really reduce your opponent’s ability to bring it down at range!